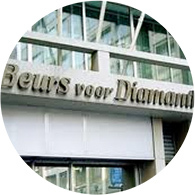 The international diamond market has become one of the most important jewelry and collectibles markets over the last decade. With regular auction activity, retail sales trends around the world, trade shows, critical manufacturing information and new markets opening up, AIDC Advantage works directly from the source and keeps our clients informed about the activity and trends in the rare colored diamond market. Our regular Diamond Reports and our in-depth Diamond Quarterly are important tools to follow the rare colored diamond market. As a de-centralized, global marketplace, AIDC strives to educate and inform our clients through our periodicals so that they don’t have to source difficult to find articles in major periodicals and trade magazines, we bring everything you need into a concise format so you have the information you need to make the right decisions on your acquisitions.